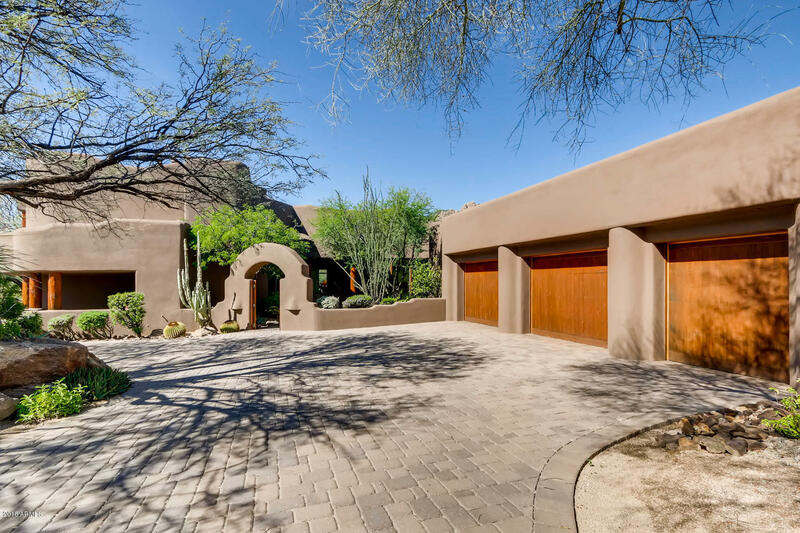 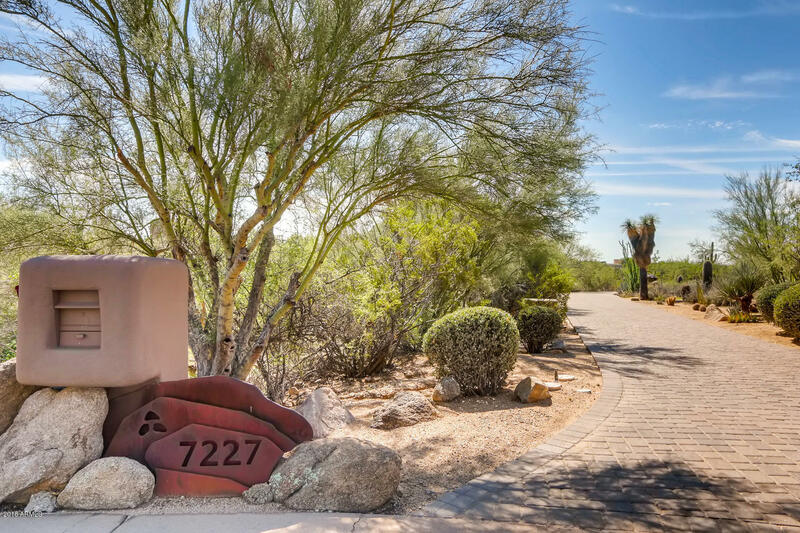 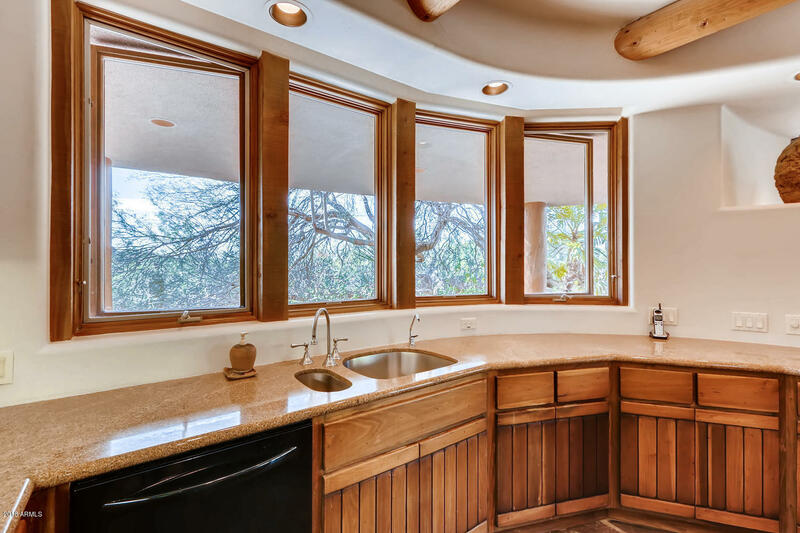 This custom home sits on a large, very private lot with a recent $50K+ paver driveway. 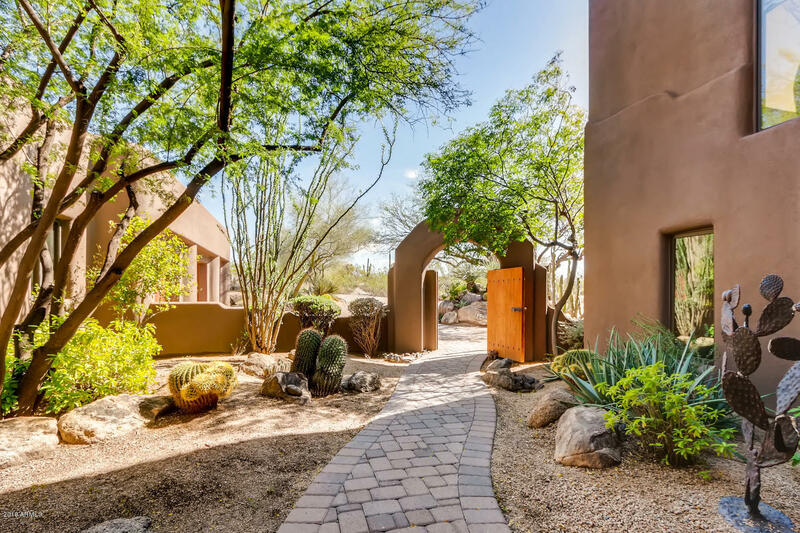 Courtyard entrance with built-in boulder by front door. 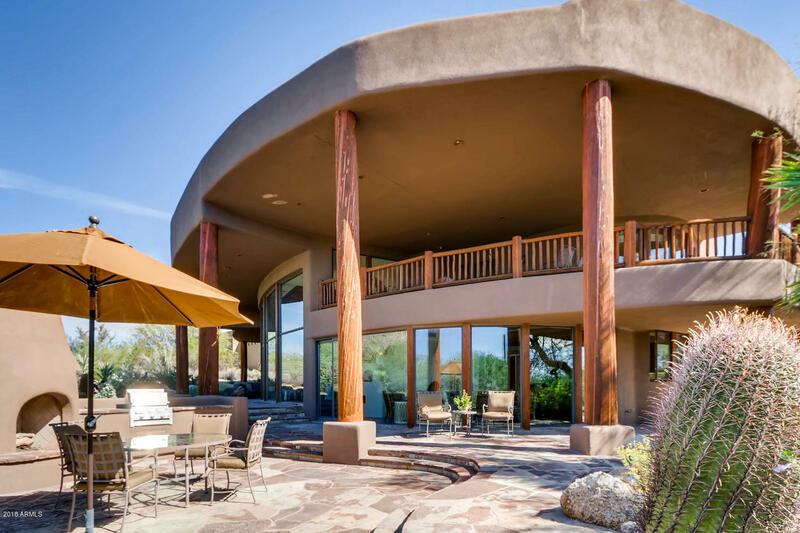 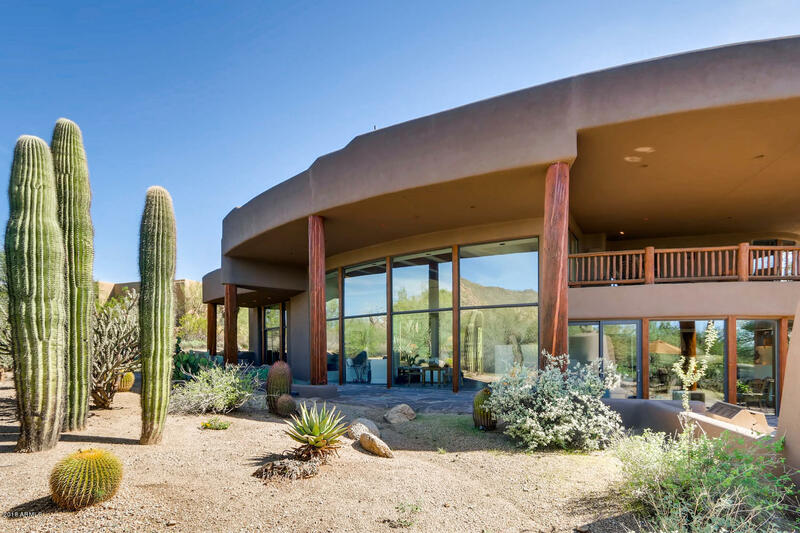 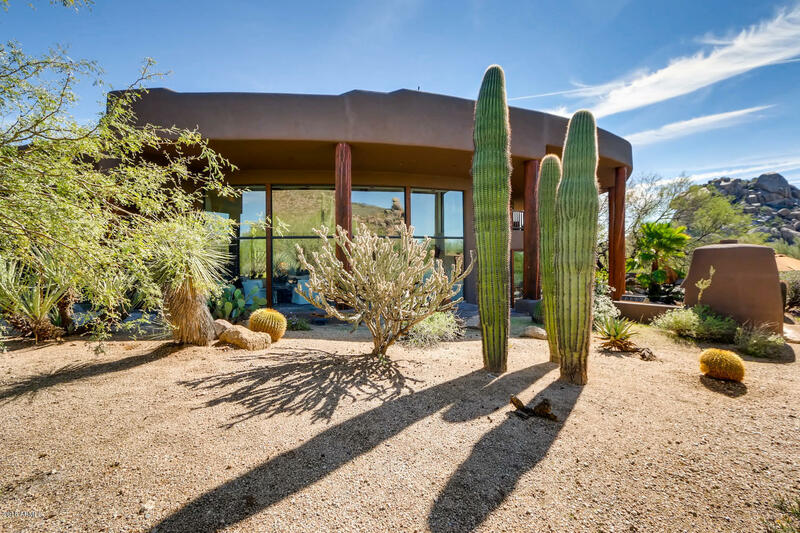 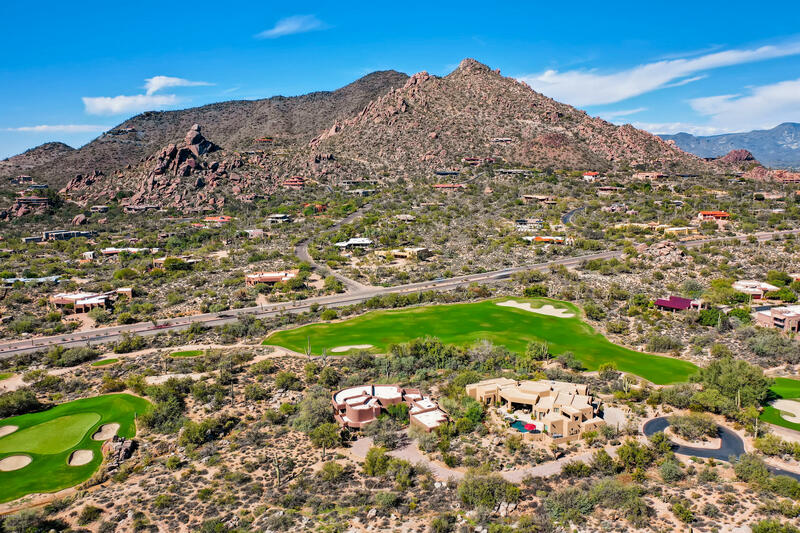 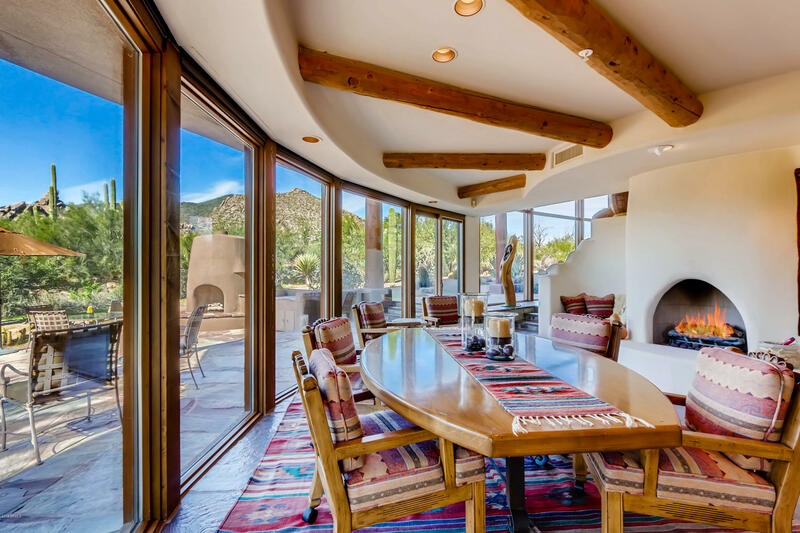 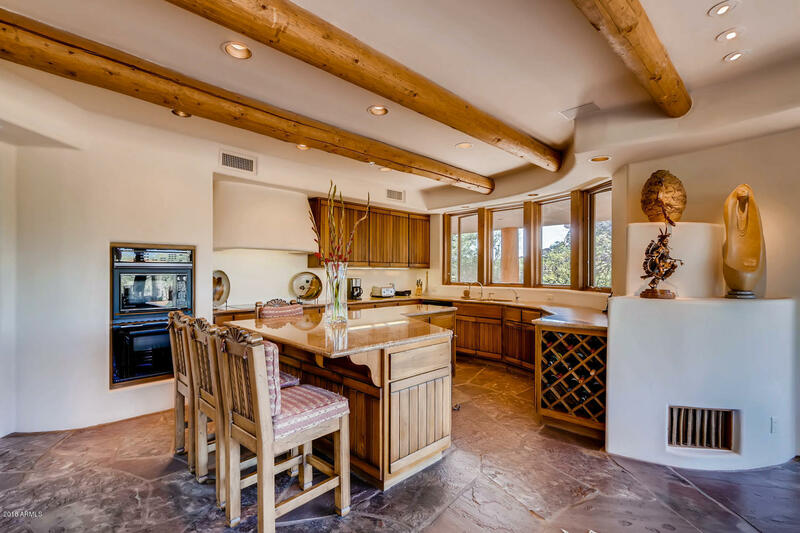 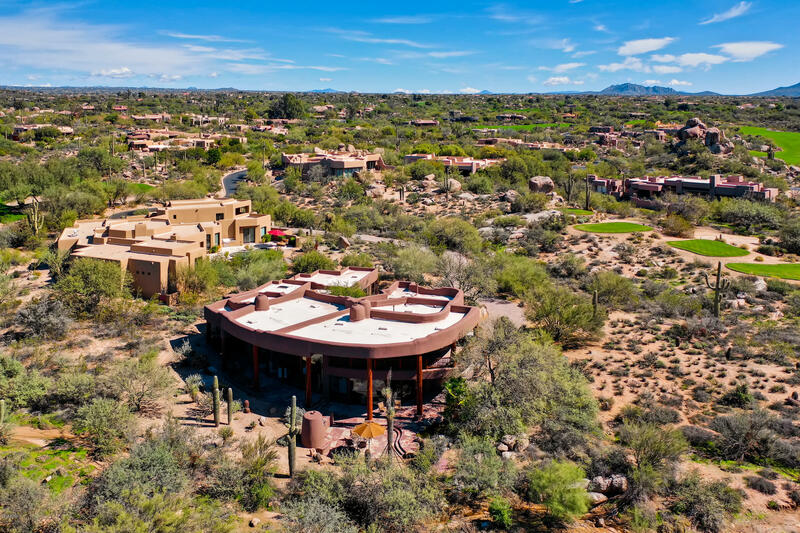 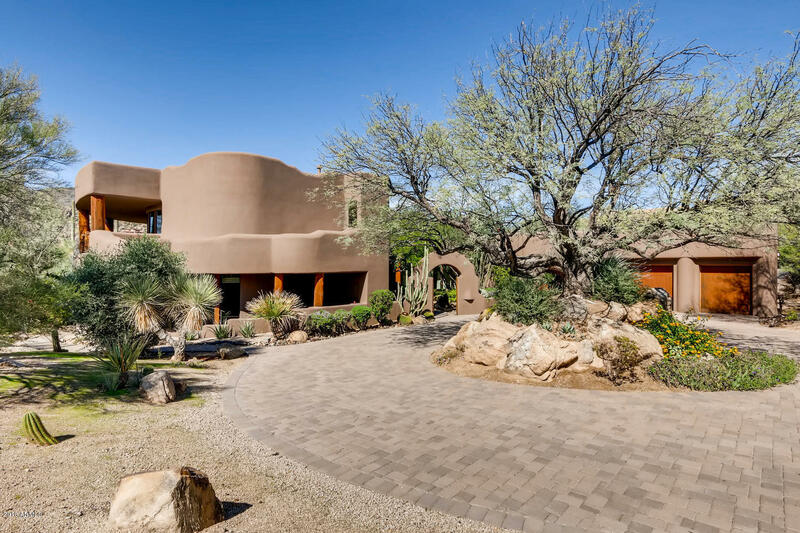 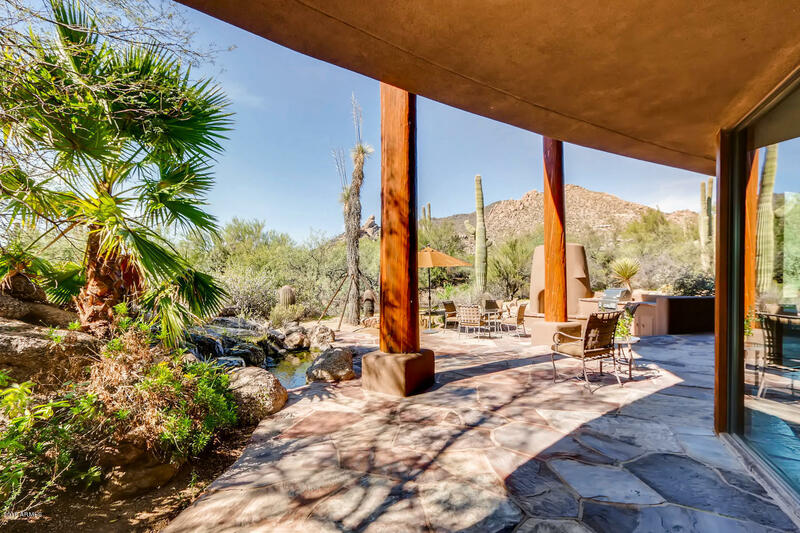 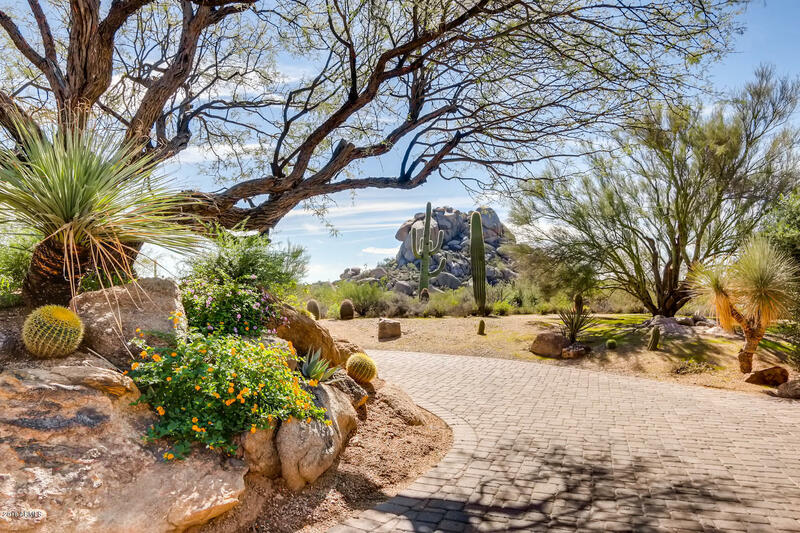 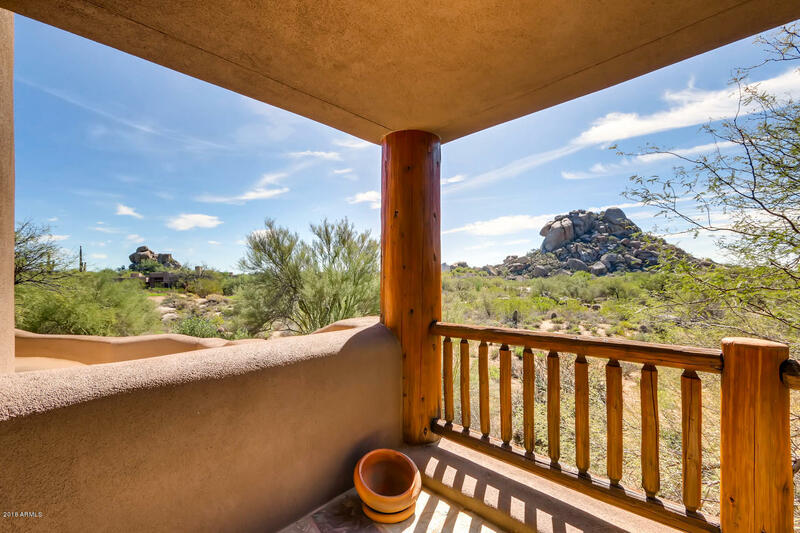 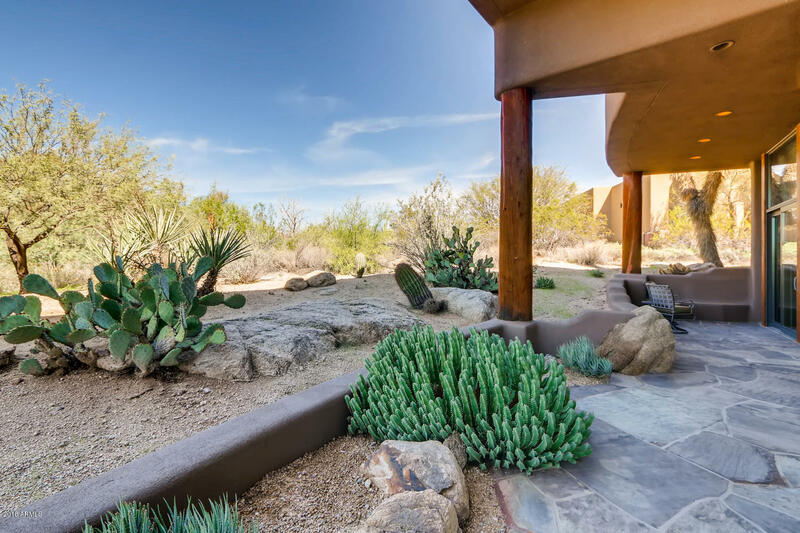 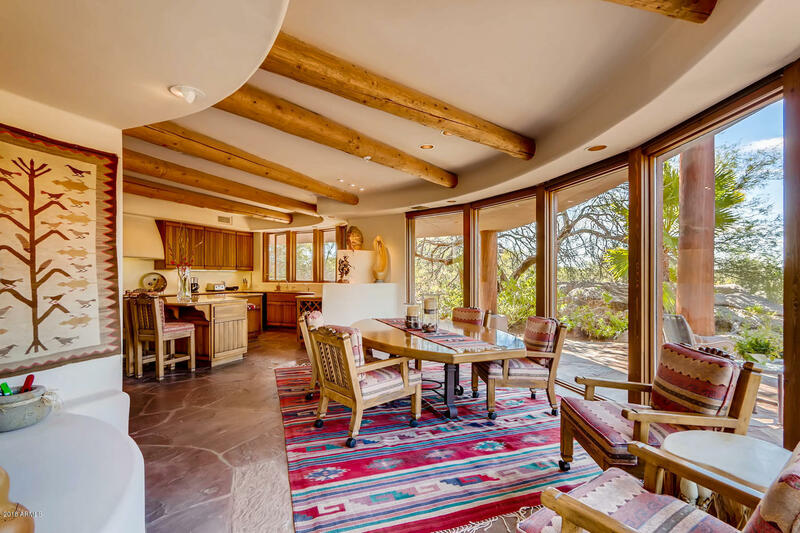 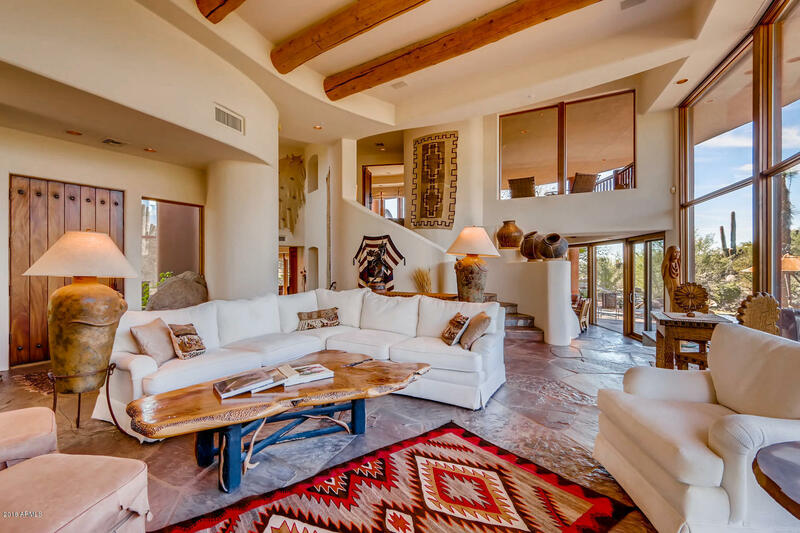 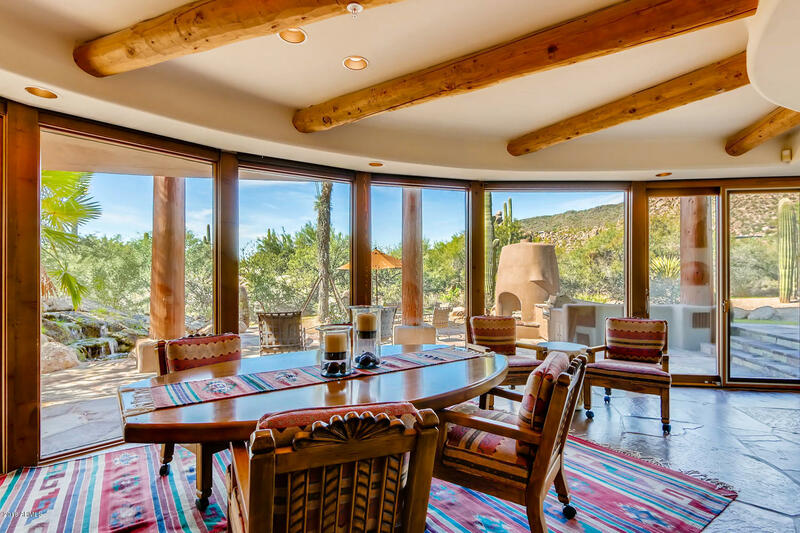 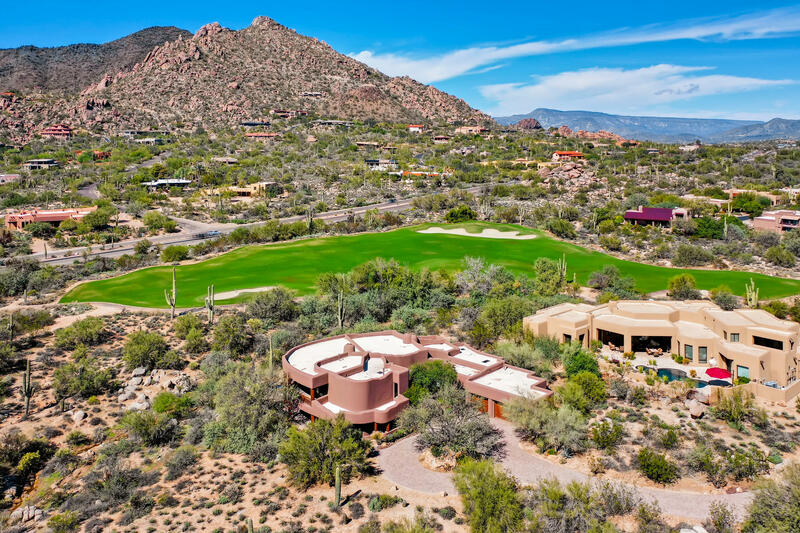 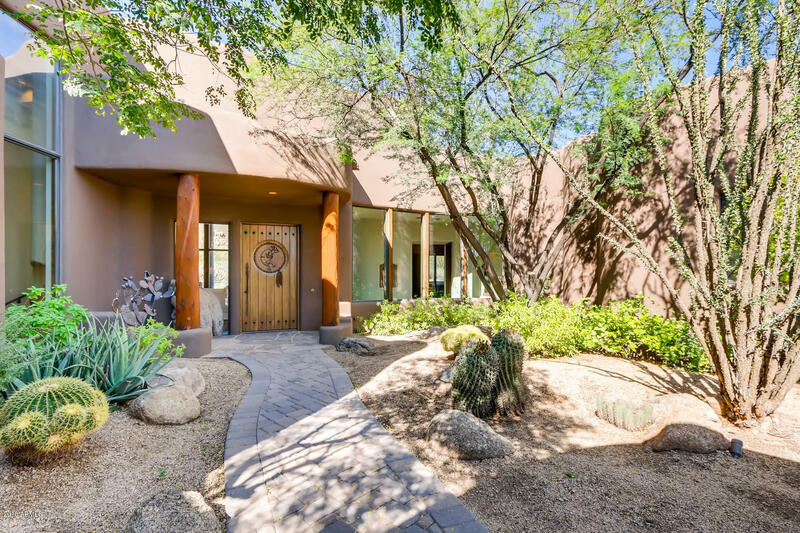 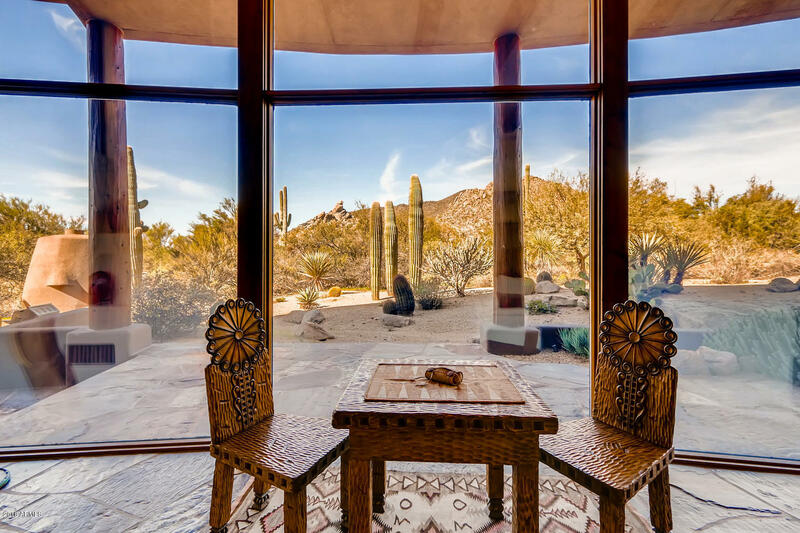 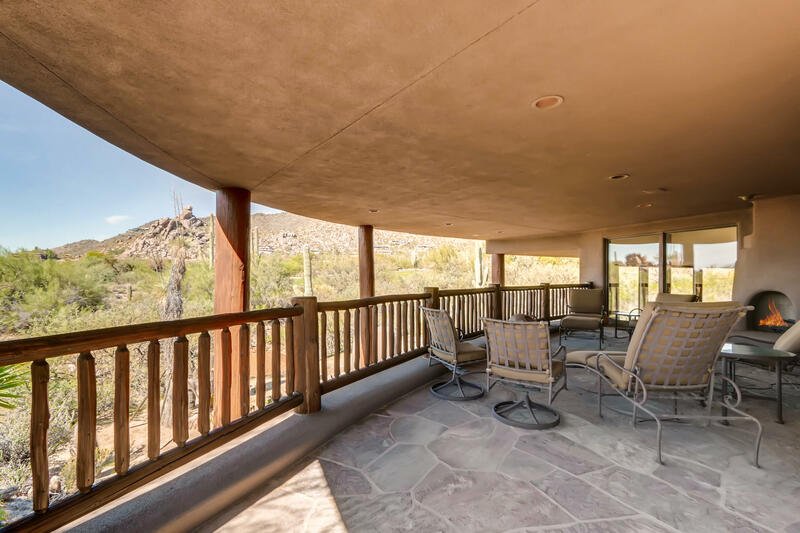 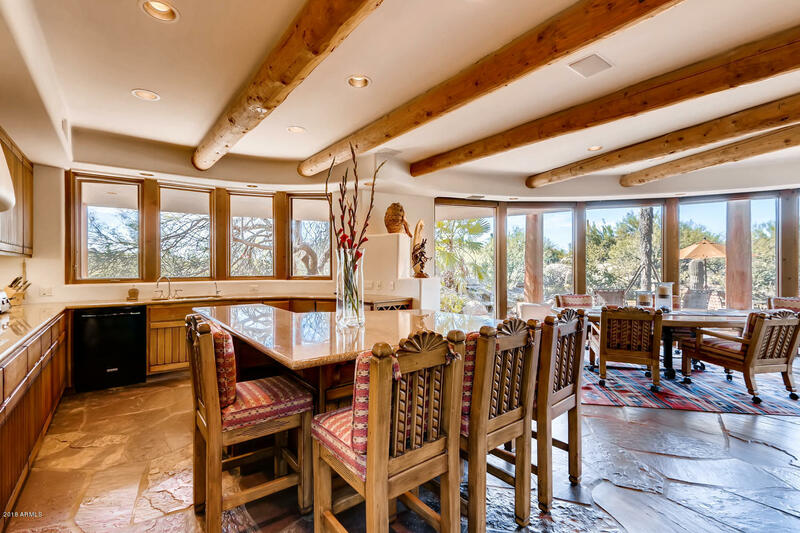 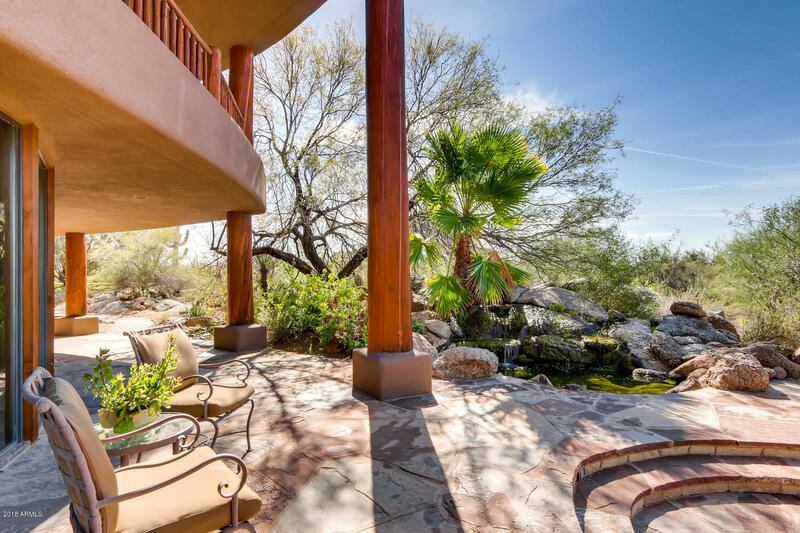 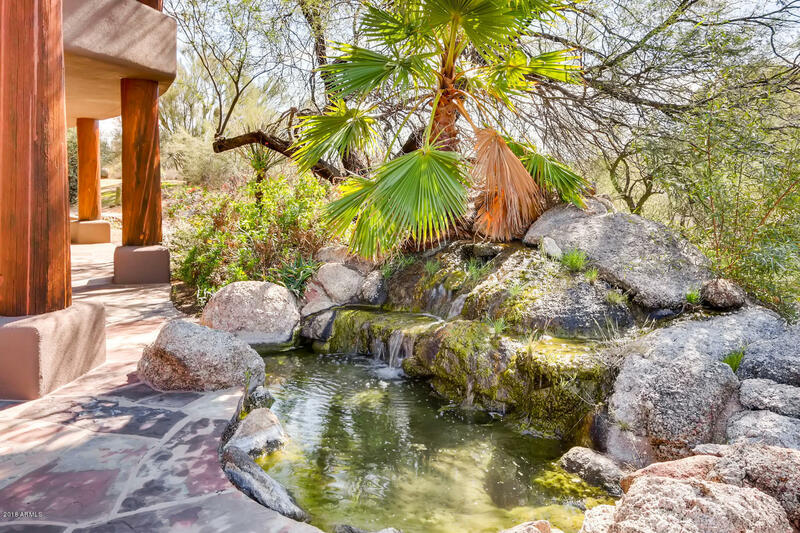 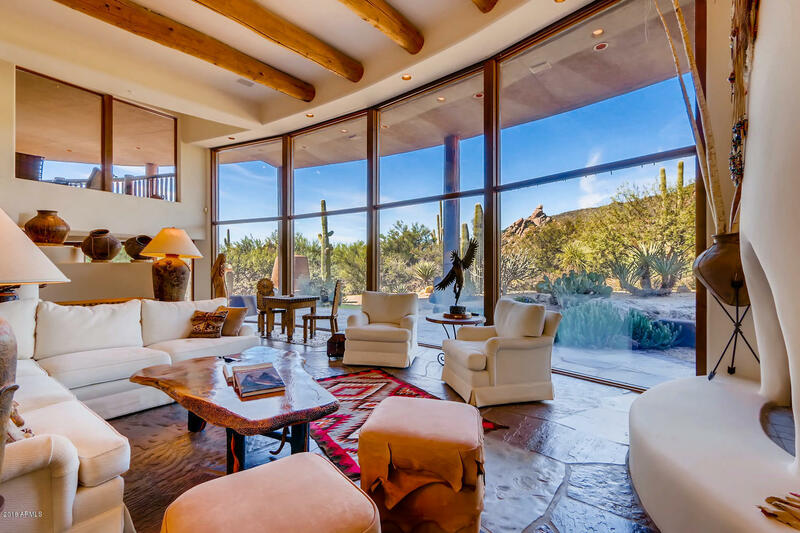 Tranquil setting with gorgeous views of Black Mountain and the surrounding desert to enjoy occasional deer or other wildlife meandering by. 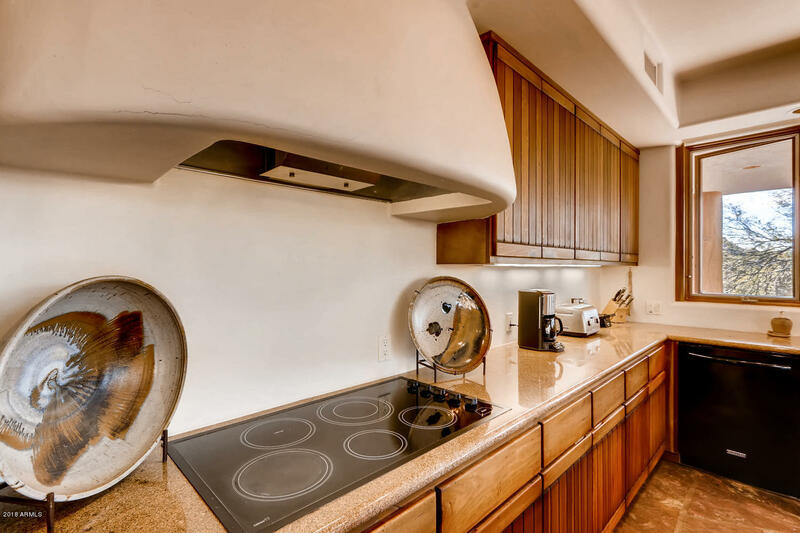 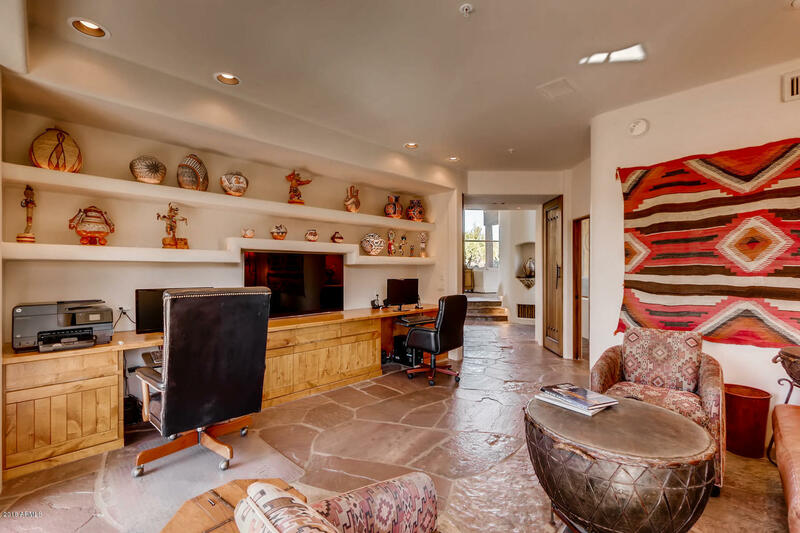 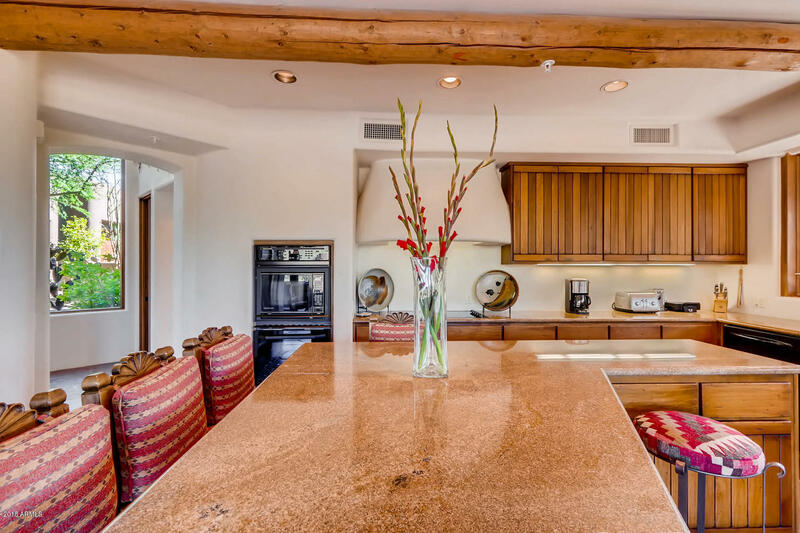 Open floorplan with dark chocolate flagstone throughout. 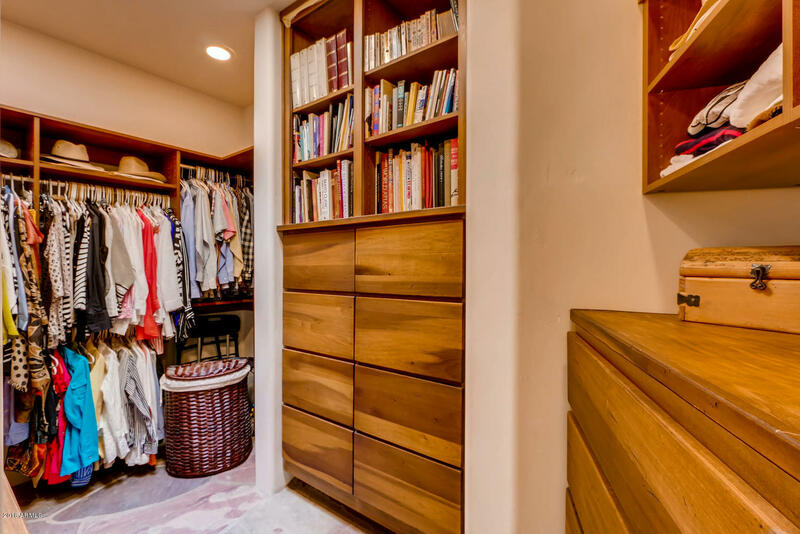 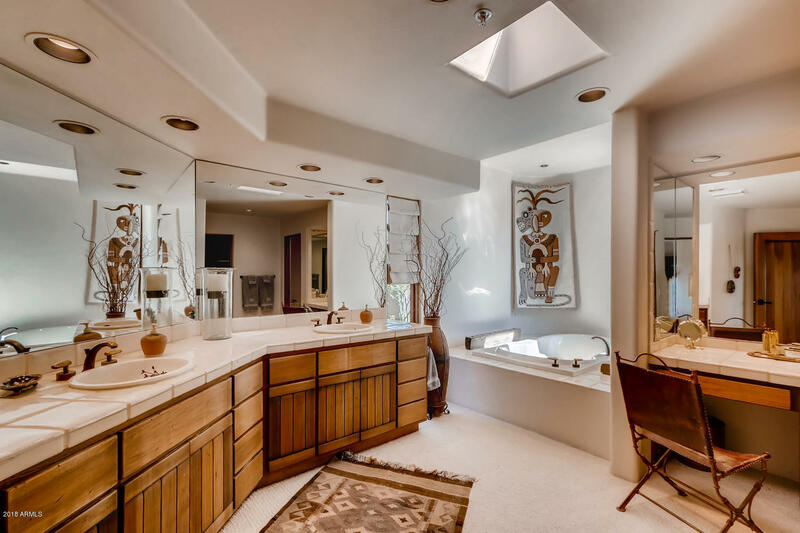 All primary living including master suite, kitchen, living room and office on main floor. 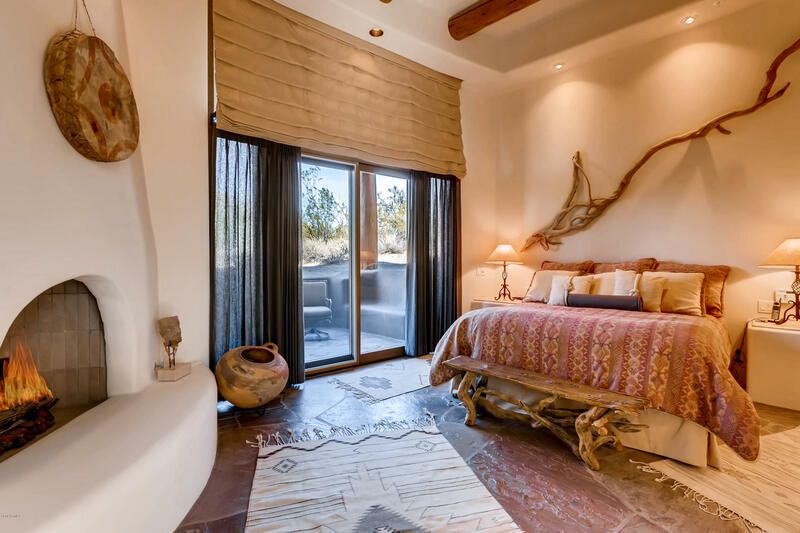 Each room was uniquely designed to take in the stunning views. 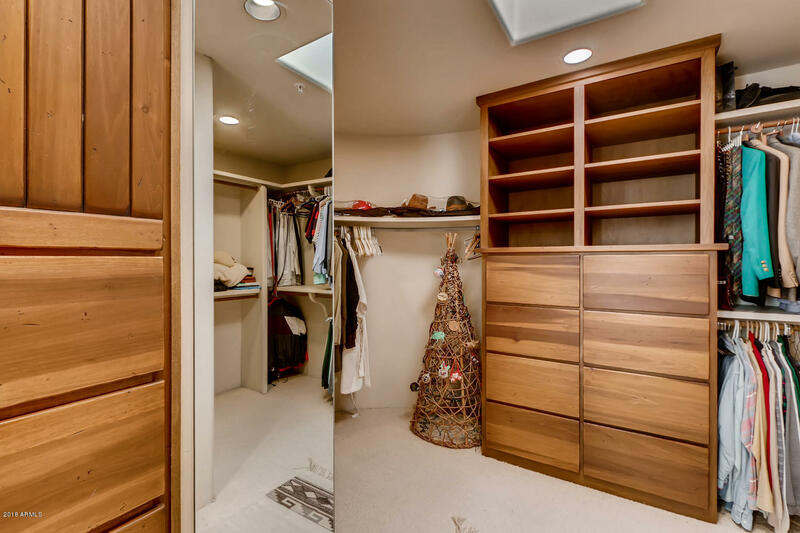 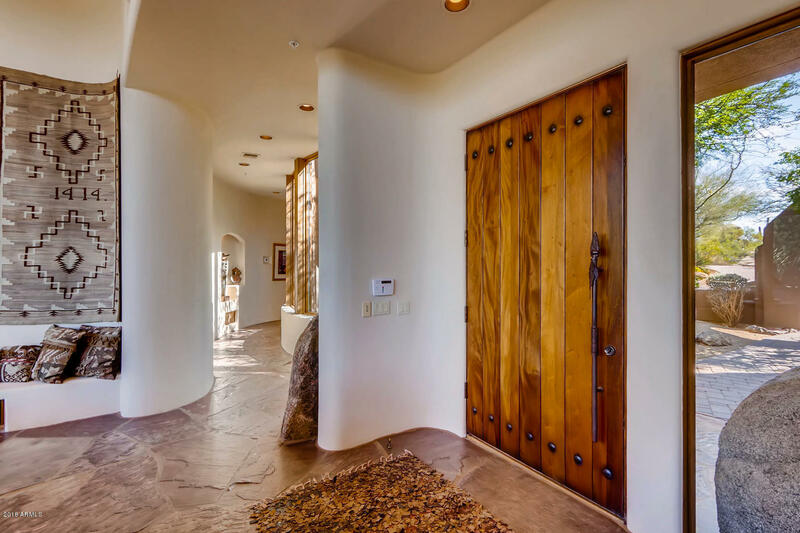 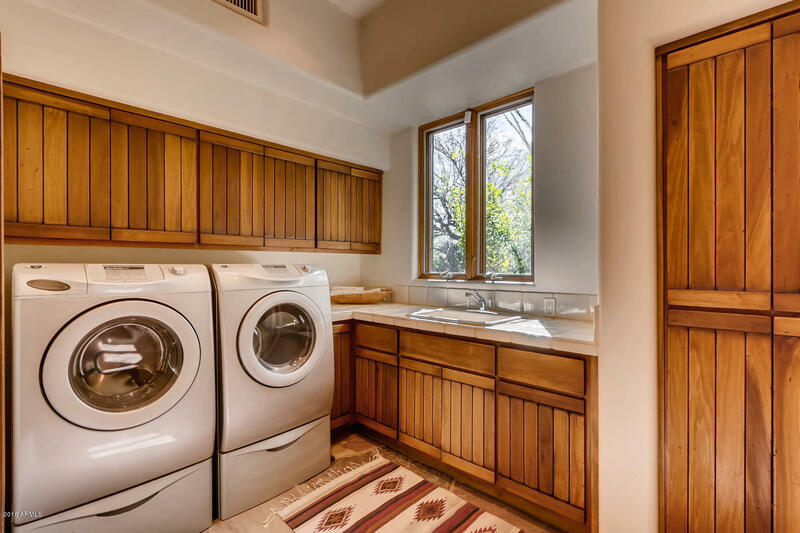 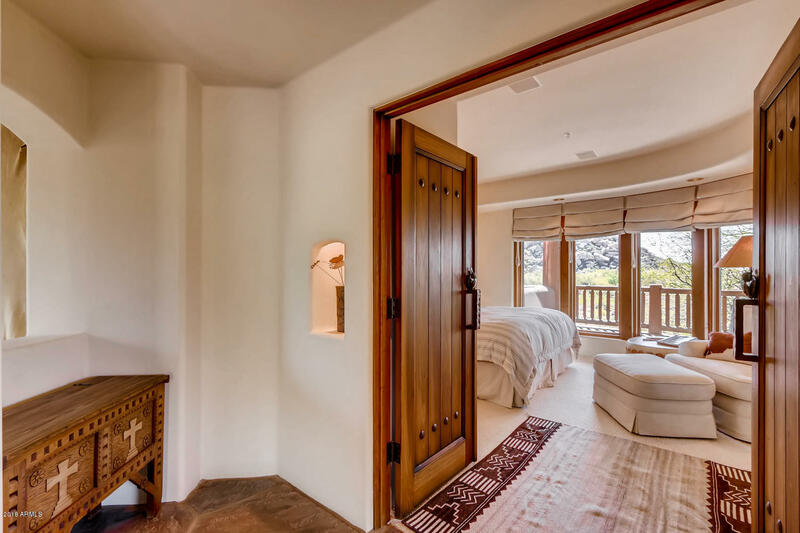 Custom doors by Craftsman & Wood and floor to ceiling windows, with automatic shades. 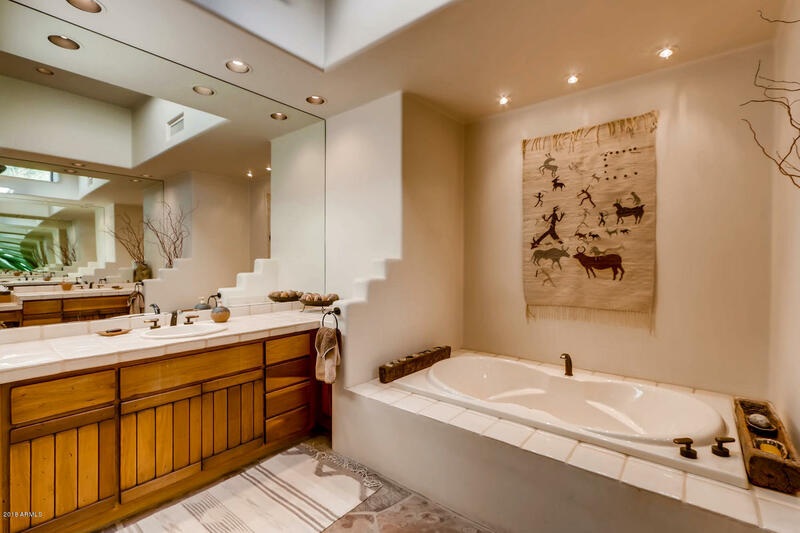 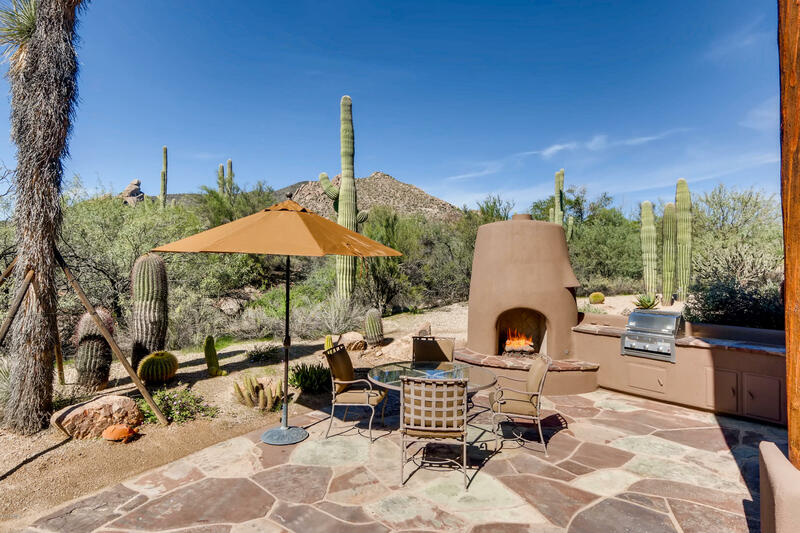 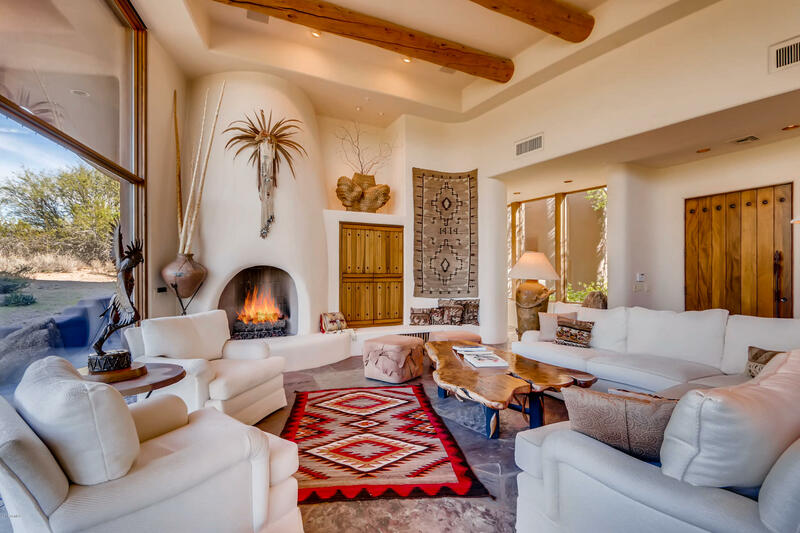 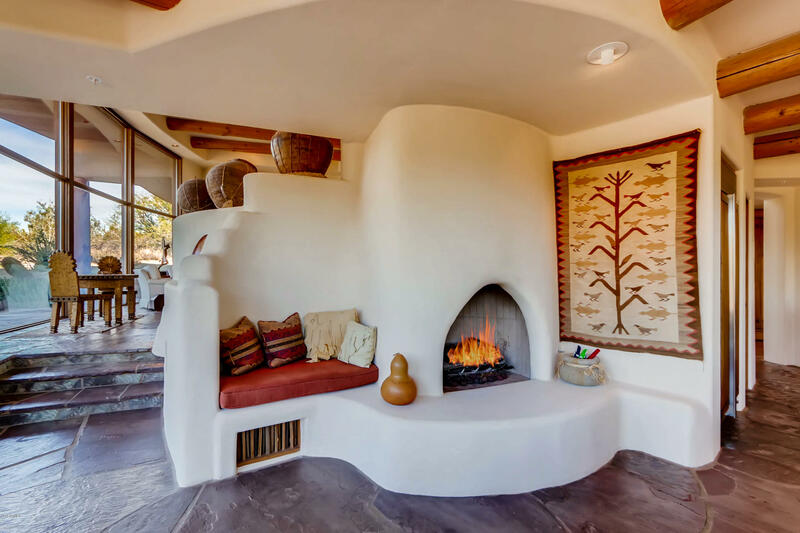 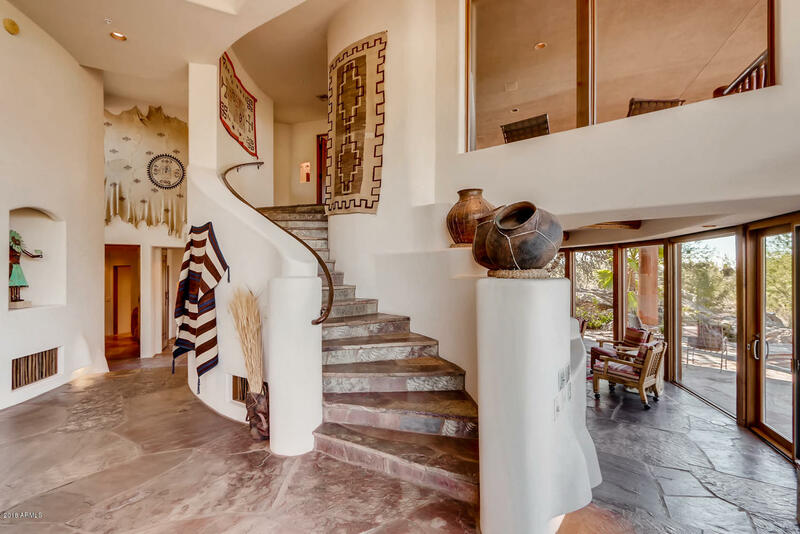 Large Kiva fireplace on patio and built-in water feature. 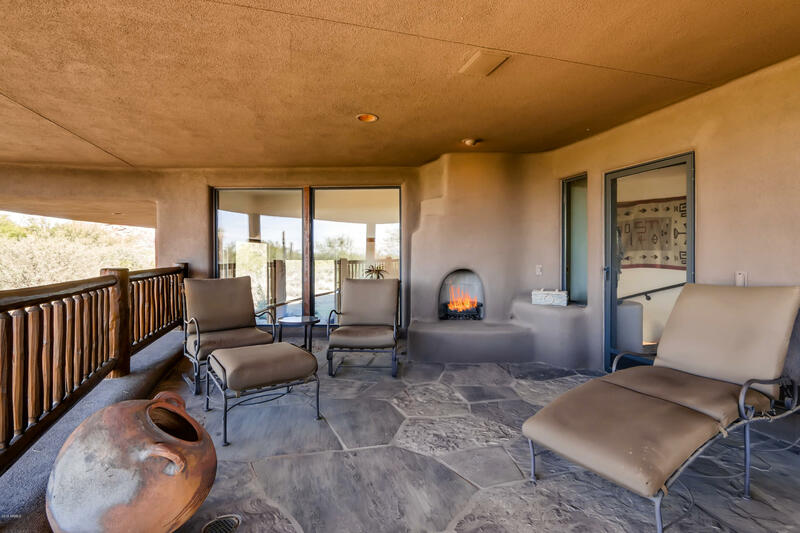 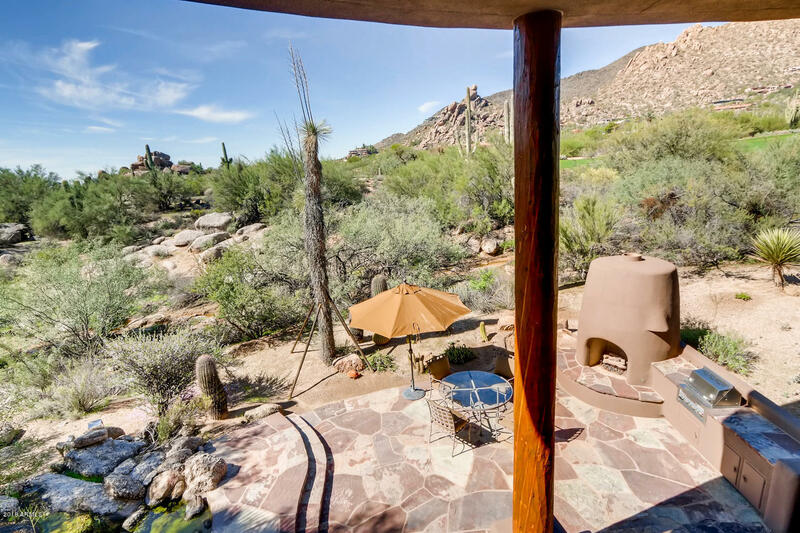 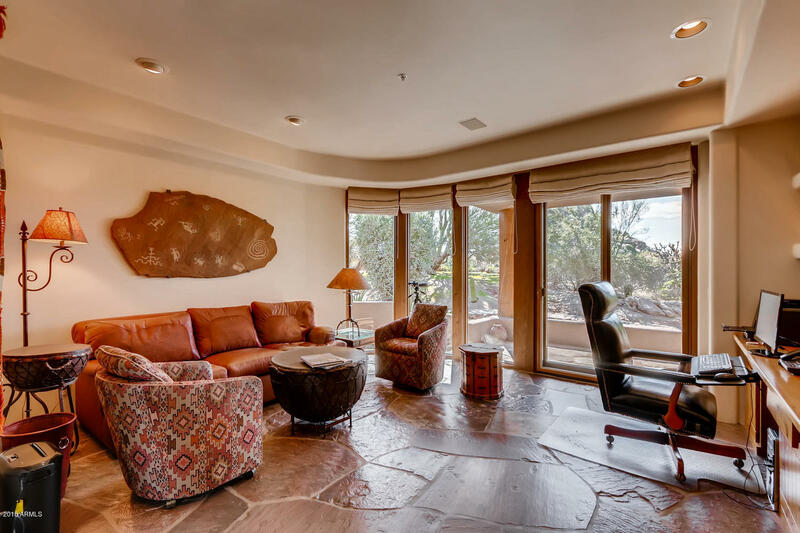 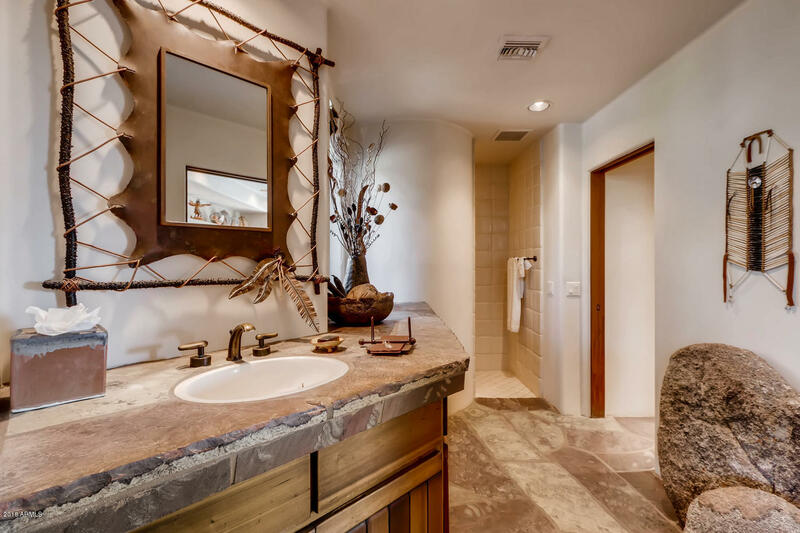 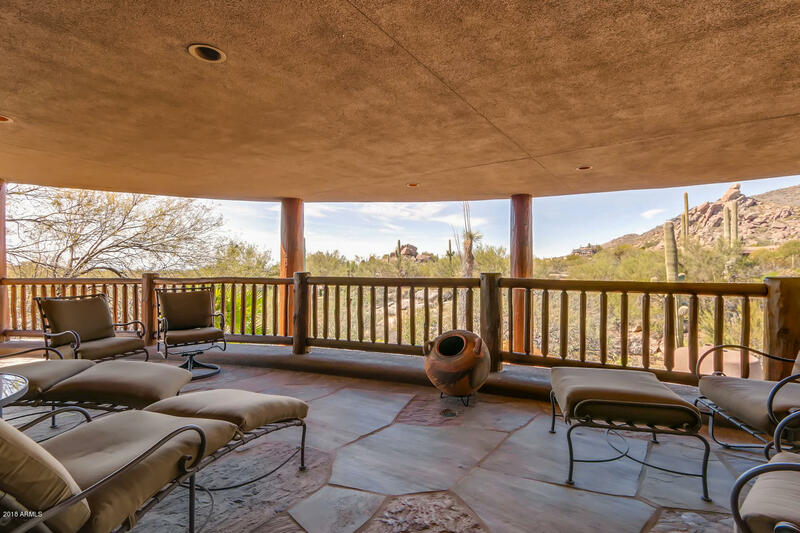 The upstairs guest suite has fabulous covered patio with fireplace and views of the boulder pile and Black Mountain. 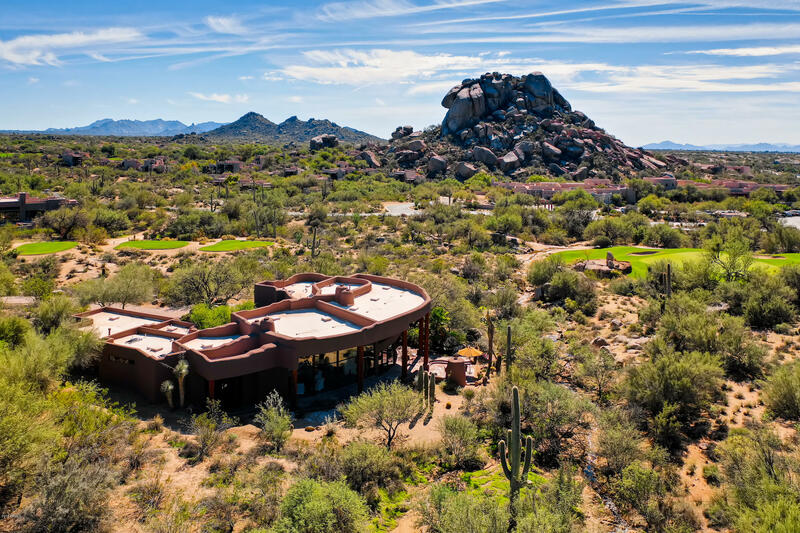 A must see and you will not want to leave!